It’s alarming and maybe annoying when your toddler or child cries all the time. 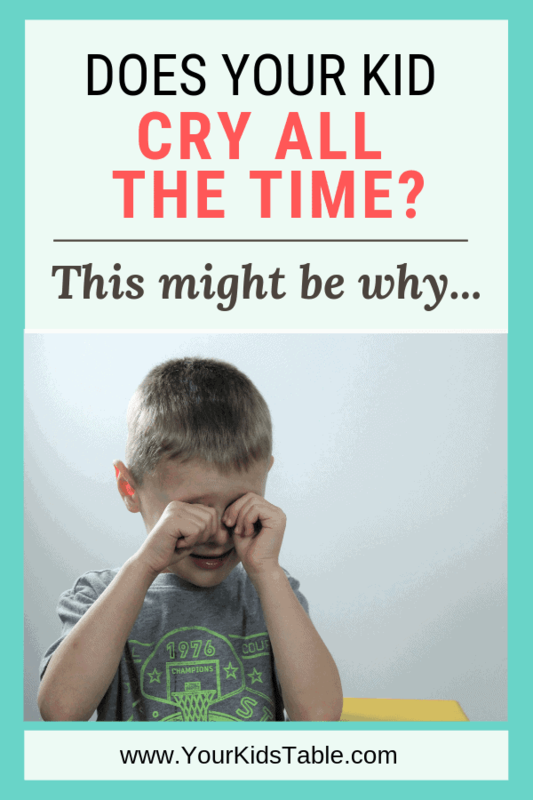 End the confusion and check out these sometimes hidden reasons that kids cry a lot! He was probably about 4 years old, and since he was my oldest child, he seemed so much older than my other kids. Being the oldest has some down sides, I speak from experience. Sam was standing in the middle of the living room crying. Again. I can’t remember what he was crying over, but it’s no wonder that I don’t because he was often crying. I remember thinking that he was getting older and should be growing out of crying over “every little thing.” I’d like to think that I wasn’t mean, but I was being stern with him as he stood there crying. I was tired and just wanted him to stop. It was a jarring moment that stung a little, but more than anything I was grateful. That was a turning point when I began to be on Sam’s team, to try and see what he was struggling with and why. Why Does Your Child Cry all the time? What really made the difference in my mom’s words is that I now had an understanding as to why Sam was crying so much, it immediately resonated with me. I knew it was true. It’s not always this easy getting to the bottom of our kid’s challenges, but we often do have some intuition about it. Beyond being able to understand the crying though is knowing how to help them. As an occupational therapist, I’ve worked with a lot of crying kids, but constant crying can have a lot of different reasons behind it. The list below is not comprehensive, but does include some little-known causes for a child that cries all the time. Two factors that can really muddy the waters are when a child has experienced trauma/attachment issues, as well as bigger behavioral issues. In my experience, these are far more rare, but if you have concerns, discuss them with your doctor or seek help of a child therapist. 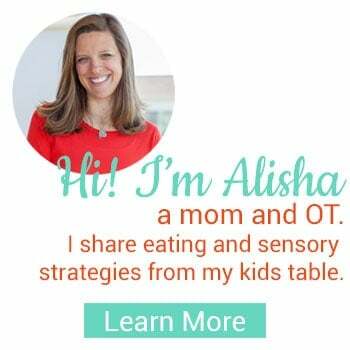 Sensory issues can affect so many aspects of our kid’s lives, and when children tend to avoid or are sensitive to certain sensations, it can leave them on edge, even physically uncomfortable! But, having sensory “issues” or needs doesn’t necessarily mean your child has or needs a diagnosis, which is why this can be hard to miss. Some kids can’t stand getting messy, hearing loud noises, or wearing certain textures of clothes. Lights or smells could be bothersome, and the worst part is they may not know how to tell you, especially young children and toddlers. That means, if they’re smelling something that they think is awful or lights are buzzing and annoying them, they may cry. But, all we see is a 2 year old crying in the middle of Target or an 8 year old that cries at the smallest occurrence after a long day of sensations he can’t control at school. Head to What is Sensory? to learn more. While crying all the darn time is annoying, some kids are experiencing emotions and don’t know how to handle them. The outlet is to cry. A child sees the world quite differently than we do and what seems like a small inconsequential thing to us could be very difficult for them. If nothing else, it may be helpful to consider that your child needs some extra time and space to deal with everything they’re feeling. Of course, kids do, at times, use crying to get what they want, and I think as parents, it’s often one of the the first things we jump to, but for our kid’s well being, it’s important to step back and see the bigger picture of what’s going on. In my son’s case, I know that he feels a lot, and as he’s getting older, he probably cries more than his peers. He’s at an age where he’s becoming self aware, and in some situations, he is curbing the instant crying. I can see that his personality is part of why he tends to cry, but two years ago, we also had to work through our first episode of anxiety. I didn’t realize that’s what it was at first, and on top of the constant crying, there was now a fear too. For Sam, this showed up as separation anxiety, even though I had never seen that in him before. That fact made it even harder because I thought he needed to snap out of it. But, anxiety is tricky and younger kids may not be able to express how they’re feeling and why. The result we see is a lot of crying or “being sensitive”. If you suspect that your child is struggling with anxiety check out this incredible resource from my good friend and child therapist Natasha Daniels. Be careful not to skim past this one, because many kids aren’t getting the recommended amount of sleep daily. Some kids will only sleep for a certain amount of time despite their parents best efforts and that becomes the norm for them. But, over time, that constant sleep deprivation can have a big effect on their behavior. Again, this can show up as frequent crying. Check out this recommended sleep guide for kids and also check out How to Help Your Child Sleep. Similar to sleep, poor eating can also have a big effect on behavior and mood. 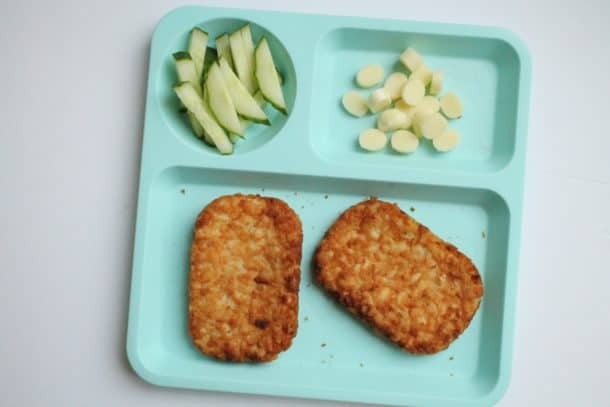 When kids aren’t getting the calories, fat, and nutrients they need, they may feel irritable, but again don’t have the skills to tell us that. 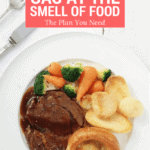 This is easy to miss with extreme picky eaters who struggle to ever eat well. 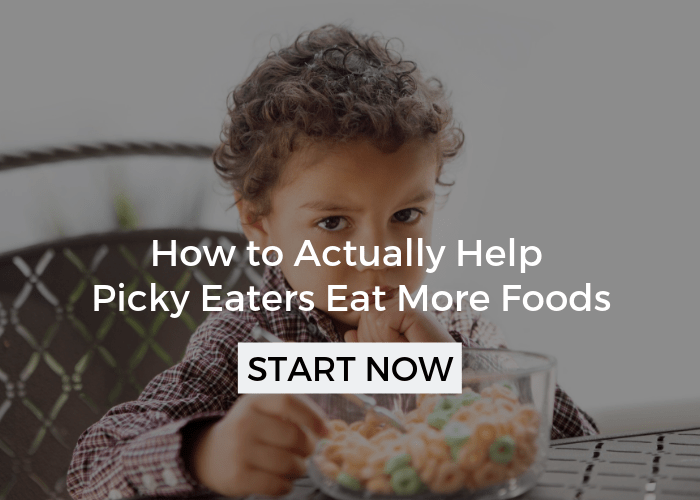 Get more help for picky eating! Children and toddlers that cry all the time and don’t have a lot of words or communication may be crying out of frustration. They can’t express themselves! As an occupational therapist, I’ve said countless times to kids, including my own, “Use your words,” when I see frustration building. Sometimes this is a helpful cue, even if they’re using a bit of sign language. Other times, it can make matters worse if they’re too upset to focus on speaking. If you’re not sure if your child is delayed in speech, click here for more info. It’s quite common for toddlers to cry all the time, especially when there’s a speech delay. 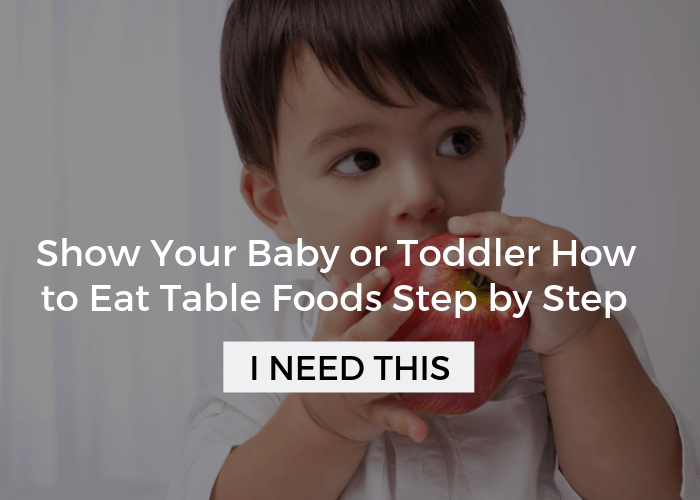 But, even if there’s not, toddlers are learning to navigate their environment. They’re also testing reactions and figuring out to how to handle their own emotions. If you’ve got a toddler that cries all the time, using sign language, or encouraging some common phrases like, “All done, more, etc.” can help decrease the crying and give them long lasting skills to manage and cope with frustrations. Are they really crying all the time? For me, the constant crying that I also later experienced with my third child as a toddler, grates badly on my sensory system. If I’m tired or trying to focus on something it’s even worse. When kids cry frequently, our patience level is depleted and all we focus on is the crying. And, in truth, some kids do cry a lot, but it may be helpful to think about the times your child isn’t crying, as well as look for patterns when they are. 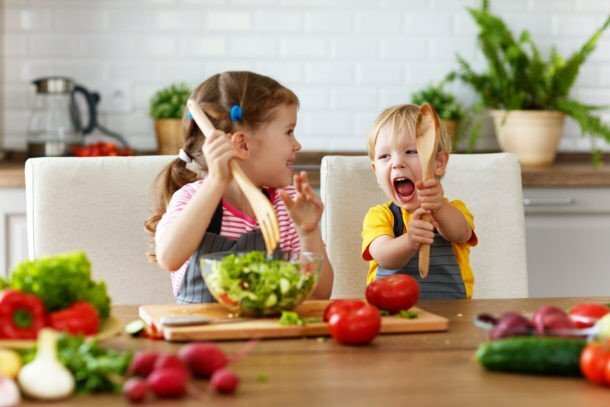 For instance, you may notice that it’s at certain times of day and can connect that to an overwhelming daycare environment, being hungry, or tired. Have a Mindset Shift – We’ve already talked a lot about this, but think about seeing your child as needing your help instead of the crying be a problem. Crying is a form of communication, whether we like it or not, and once we start to see it that way, it gives us reserves of patience to rely on. Comfort Your Child – For generations, kids have been raised to “shake it off”. While I think there’s some wisdom in that, we have to be careful we’re acknowledging our child’s feelings and letting them feel heard. However, it’s just as important to teach them how to manage their feelings as well. Teach Them Coping Strategies – Depending on your child’s age, the coping strategies could vary widely. 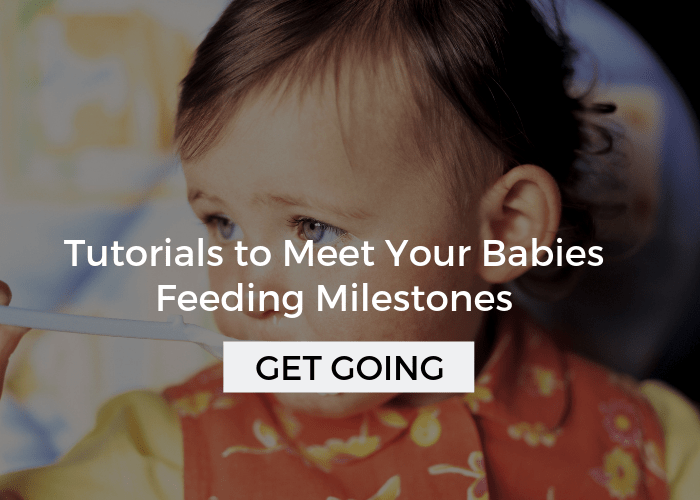 Older kids may benefit from journaling, while younger kids may need some snuggles. No matter what age, kids can be taught to retreat to a private space and then talk it out when they’re calm. Take Care of Yourself – Even with a mindset shift, the crying can get to be A LOT, and making sure you’re taking care of yourself may be the best thing you can do for yourself. That might mean hiding in the bathroom for a minute to catch your breath or having a cry yourself. 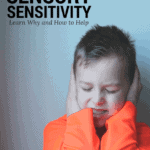 If you’re suspecting that sensory processing could be at least one of the reasons your child cries frequently, grab our free printable 21 Sensory Red Flags. 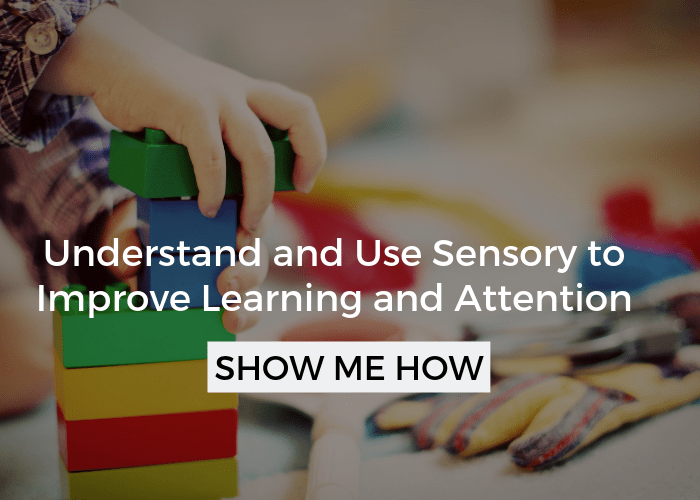 You’ll find some of the most common sensory “issues” that kids display and go unnoticed. Click here to get the printable right to your inbox! Simple Calming Activities for Active or Overwhelmed Kids to Start Today! Thanks for this. A lot of parents need this info to know what there kids want and to avoid the unneccessary daily tears. What a helpful article. My eldest child is always crying! so helpful to know some strategies to use to help her. I have signed up to the anxious children webinar too. One thing she always cries about is when her younger sister cries? Is this possibly something to do with the pitch of her crying as other loud noises don’t bother her? She often says ‘it gave me a fright’ . Oh I’m so glad Lorraine, Natasha is amazing! I took an anxiety course of hers for my son and it saved us from needing therapy, not that that’s a bad thing. But, it was so empowering to know how to help him myself. As for the crying when her sister cries, that does sound like sensory, at least in part, sometimes that’s an emotional charge though too if she’s a particularly empathetic child. Anxious kids are often VERY empathetic and don’t like seeing others upset. It’s great to see photos of a caring Dad! Article was once again a help, too! It’s true, we don’t see enough that, do we? !